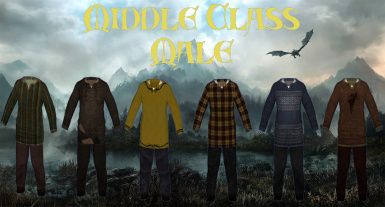 A clothing overhaul for the children of Skyrim with more appropriate upper, middle and lower class distinctions. 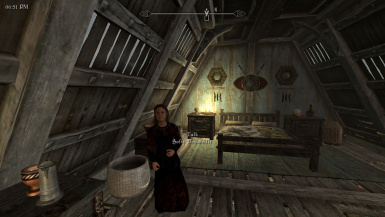 This mod contains many textures created by another mod author. As such I cannot authorize use of another persons work. Therefore, I cannot freely authorize the use of this mod for any other purpose than that which it is intended. 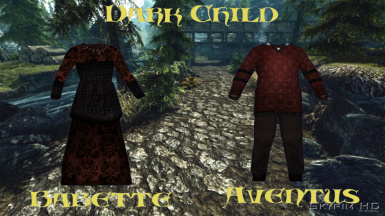 Thanks to Jacknifelee for creating and allowing me to use her fabulous textures. Thanks to Popcorn71... for seeing what I could not and for not giving up on me. 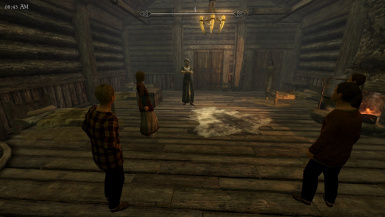 Thanks to Bethesda for creating The Elder Scrolls. Thanks to Nexus.com for being there! 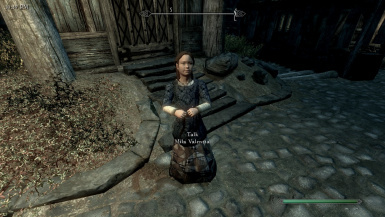 Has anyone else noticed that Dagny, the Jarl's daughter is wearing the same outfit as little orphan girl down by the Eldergleen? 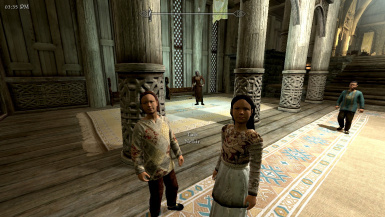 It is no wonder that Dagny is throwing a fit about getting a NEW dress! lol. 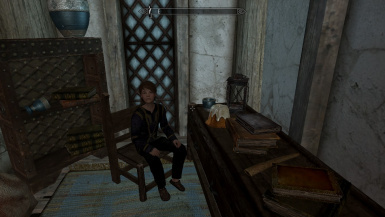 As a matter of fact, out of the 42 children featured in Skyrim, 27 are wearing OUTFIT01. 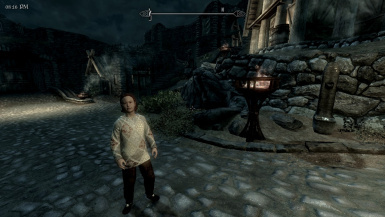 Well, this mod changes that! 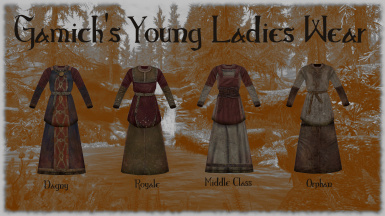 This allows the children to be dressed more realistically and with more variety. *Now offering support for The Kids are Alright. WORKS BEST WITH NEW PLAY THROUGH! 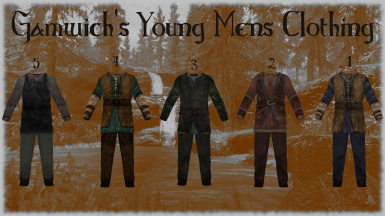 Installing to an existing game will require time for the game cells to update in order for the new clothing textures to show up properly. Items can be found in the usual places. 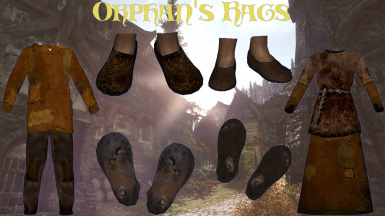 The new items can be purchased through the Khajiit traders and at the Pawned Prawn. 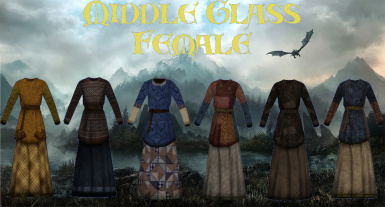 The items available in their stock is randomly selected to be more realistic. (Hopefully.... if I did it right... hmmm.... guess we will see. *nervous laugh*) Well, I didn't want to make it simple! 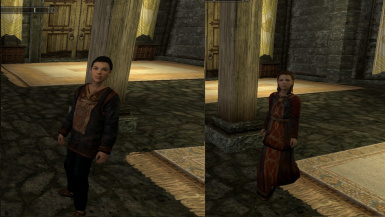 Has anyone else noticed that Dagny, the Jarl's daughter is wearing the same outfit as little orphan girl down by the Eldergleen? 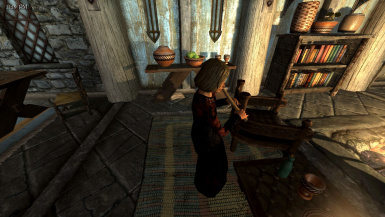 It is no wonder that Dagny is throwing a fit about getting a NEW dress! lol. 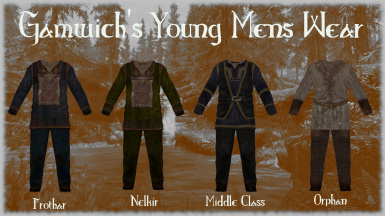 As a matter of fact, out of the 42 children featured in Skyrim, 27 are wearing OUTFIT01. 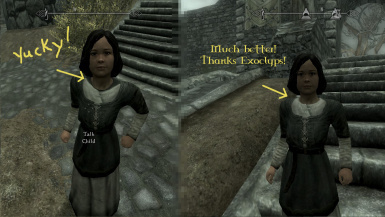 Well, this mod changes that! 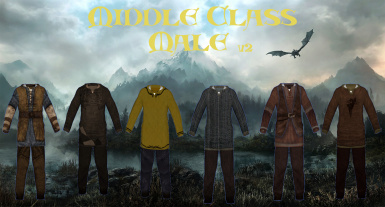 This allows the children to be dressed more realistically and with more variety. 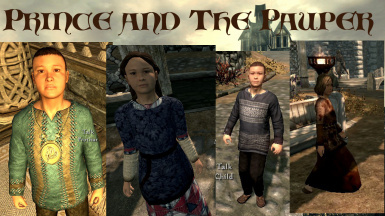 Middle - Which includes most of the other children. Including the residents of Honorhall. 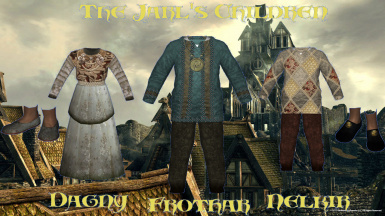 Of course, Dovahkiin can purchase clothing for his/her adopted children. 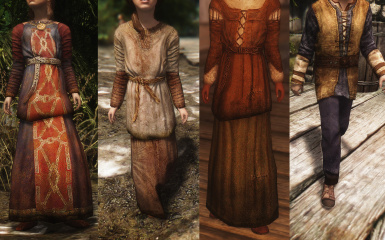 Any mod that change or alters the children's "clothing" will most likely conflict. 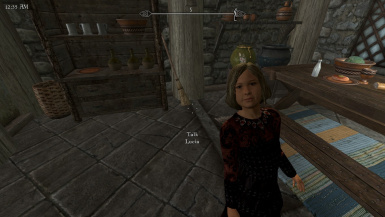 Mods that simply add children should work just fine! folder. You can ignore or delete the "fomod" folder. 1. 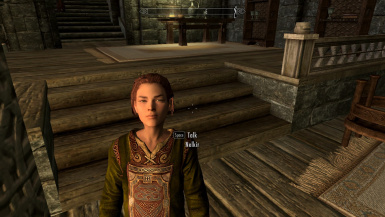 Start Skyrim Launcher, click Data Files, uncheck the .esp file. 1.0, 2013/11/01 - Initial release. 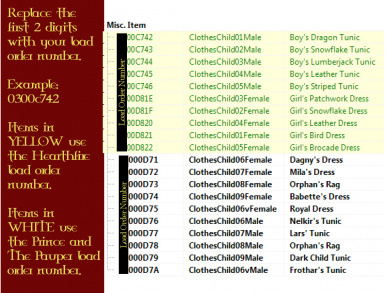 1.1, 2013/11/06 - Bug Fix: Vendors will sell and purchase childrens clothing. Children are wearing their shoes. *Accept Braith. Sometimes she has them on and sometimes she doesn't. I can't explain it. I do not plan to actively purse this particular issue for the time being. Just attributing it to Braith's personalilty. lol. 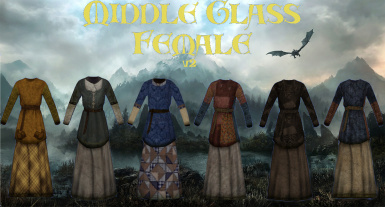 2.0, 2013/11/16 - Complete mod overhaul. 4.0, 2017/02/18 - Released to Special Edition. 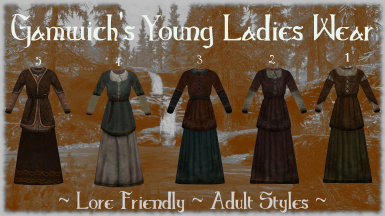 Thanks to Gamwich and Jacknifelee for allowing me to use their awesome textures.